Something that's always bothered me about EaW is the arbitrary way classes and bonuses are applied to heroes. You have major heroes and minor heroes and a myriad of classes in between, but what do they really mean in terms of gameplay? Fleet and field commanders are at least logically grouped by the ability to provide a combat bonus in their respective theater, but you have to question their veracity when you realize the generic fleet commander's bonus is arguably more potent than Ackbar's. Being an EaW mod, we've been guilty of this as well; heroes for us have sort of gotten lost in all of the changes to space combat. For the past few weeks, I've been analyzing what it means to be a hero in the context of EaW as part of what will assuredly be a broader, long-term hero revolution. I use this term because each of the layers that go into this will be a conventional revamp in their own right. Of course, we already have what can be thought of as "layer zero" in place by having perma-death heroes that can be built at any planet of our choosing and upgraded at will. This first pass involves a look at what it means to be a leader. Heros are exceptional individuals. They are exceptional because, in a galaxy of 100 quadrillion beings, they are among the relative few worthy of documentation. As much as the narrative is about fantastic technology (the Empire), it is also about personal intangibles (the Rebellion), so I'm trying to achieve a balance of the two phenomena with these changes. Obviously from a modding standpoint, there are a finite number of ways to simulate this, so my first step was to come up with all of the passive abilities that could be relevant and assign each one a descriptive noun. These are the leadership qualities that can be exerted in-game by heroes. Next I had to decide on a cap for the leadership bonus - the representation of a certain quality to perfection. Given the differences of combat and non-combat bonuses, this varies by ability, but is abstracted in the star rating. The star rating mirrors that commonly used for general officers in a military and is useful for comparing hero attributes: every quality is rated on a scale of zero to five stars. This is not to be confused with an actual rank, but it is related. In order to decide how many stars a hero deserves, I chose to rely on what is possibly the only standard universal measurement of such a thing: rank. As it turns out, most heroes are officers or otherwise hold some rank in an organization. Having this qualification makes them eligible for leadership bonuses. It also means they can be ordered into a chain of command. This is where the canon fails us. If you've never looked into it before, verbal ranks are a mess and have been from the beginning. Fortunately, rank plaques are unambiguous, if not entirely well understood. For ease of use, I've decided to go with SWTC's take on the chain of command, which is interpolated from known Imperial ranks and based on the relative value of squares and cylinders. This will be used throughout the mod regardless of faction - please note that this is not to be interpreted as commentary on a character's actual rank, but is rather indicative of a rank class. 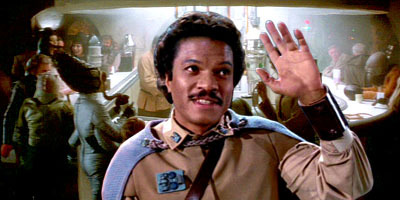 For example, Lando is still technically an Alliance general, but being a general in Starfighter Command, he is of class "Chief Marshal". This is mainly to provide each branch with a unique nomenclature. In a nod to roleplaying, every rank class is valued between one and ten points, which the hero is able to "spend" on pertinent bonuses as they progress in rank through upgrades. Of course, these bonuses have been pre-determined by me, but the points system is in place to maintain equity. Since leadership qualities never stack with each other - except for those related to income - the number of stars in one becomes increasingly valuable. To ensure that it is also increasingly rare, heroes must spend a disproportionate amount of points on stars starting with their third. I should point out that leadership bonuses are able to stack with other types of bonuses however, such as the technology bonuses provided by controlling major shipwrights. Most heroes also belong to a distinct service branch, namely army, navy, or starfighter. This signifies the types of units they're able to apply their combat bonuses to: navy is freighter and above, starfighter is transport and below plus airspeeders, and army is any other ground vehicle and infantry. In some cases, characters have been known to seemingly vacillate between branches; where possible, I've operated on the assumption that this is not the case in fact. 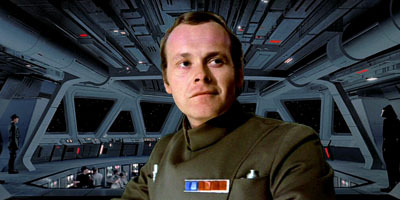 For example, Wedge took the Yavaris as his flagship when he accepted his desk promotion; presumably, this was just a progression of his starfighter rank rather than an outright transfer to naval command. There are exceptions, of course: Han was trained at an Imperial starfighter academy, but would later go on to become an army general, in which case, he retains separate bonuses for each branch. It is also common for high-ranking heroes, such as moffs or senators, to be above the regular command structure of the military. For these heroes, combat bonuses are applied to all units. With a solid mechanic down, the remainder of the overhaul - the part most time-consuming - involved poring over the histories of our 44 existing heroes and trying to objectively ascertain an authentic command style. This was no small feat, because it means for the first time ever you'll be able to genuinely pit two or more commanders against each other in a contest of wits and strength to see who comes out on top. To reference the attributes of every hero at any stage of upgrade, check out the two new pages I've added to the site that detail heroes for both the Alliance and Empire. The possibilities going forward are endless. We now have a framework that can accommodate a virtually limitless amount of new heroes and, in an ideal situation, we will eventually have enough named heroes where we'll be able to phase out the generic ones. Finally, in addendum to the leadership changes, I also took the opportunity to add a few new hero upgrades and otherwise clean up some of the last-minute hero mechanic that I wasn't able to uniformly finish in time for v1.1. In previous releases, we've used hero transports that came fully upgraded as a way of simulating a heroic crew. Going forward, we will instead be using the correct variants with effectively doubled health, shields, and damage. You will pay twice the cost of a standard version of the ship and the ship alone - hero transport complements are no longer considered "heroic" (fully upgraded) and will be priced regularly. Also, starfighter squadron heroes will now be able to call for reinforcements and replenish their wingmen every two minutes. As for the upgrades, I'll just list them quickly: the Steel Talon has been added for Antonio Motti, the Quenfis has been replaced with the Tal'cara for Borsk Fey'lya, the Executor has been added for Darth Vader, the Elegos A'Kla has been added for Garm Bel Iblis, the 13X has been replaced with the Leveler and the Reaper has been added for Gilad Pellaeon, the Remember Alderaan and the Emancipator have been added for Lando Calrissian, a squadron upgrade and the Justice have been added for Luke Skywalker, the Sovereign has been added for Palpatine, the Pride of the Senate has been added for Soontir Fel, the Razor's Kiss has been added for Thrawn (finally), the Yavaris has been added for Wedge Antilles, and the Vehemence has been removed for Wilhuff Tarkin. That's all on the new hero pages as well. With the volume of changes just revealed, we'd love to hear what the community thinks about our direction with heroes. Also, be sure to hop on the forums and let us know who you'd still like to see make an appearance in PR! Edited by Phoenix Rising, 18 August 2009 - 06:49 AM. Back on topic, this is a great hero update! Finally we see all the heroes have their purposes in battle! It'll be nice to see what all these new Hero powers and abilities are! Edited by Invadious, 18 August 2009 - 11:17 AM. Hehe, this sounds awesome. Keep up the great research and even greater work. Looks great cant wait to play with all the new changes. It'll be nice to see what all these new Hero powers and abilities are! I didn't mean to be cryptic with that, but I figured the last thing such a long post needed was a point-by-point list of qualities. That's why I put that part on the site itself . I'll update the pages with that information! Edit: Check now . I would like to see Ace Azzameen from the X-wing alliance game. Agreed, but unfortunately we still don't know what he looks like! That presents sort of a conundrum with new heroes if we can't add unique icons for them. Maybe I'll put the issue to a poll. Edited by Phoenix Rising, 19 August 2009 - 04:43 AM. I don't exactly understand what you did with the transports. You mentioned they are double priced and twice the damage and shields etc. from the existing units. But Darth Vader's Executor is just a regular Executor I-class Star Dreadnaught and not like Thrawn's Razor's Kiss, which is a customized Executor I-class Star Dreadnaught. So is Darth Vader's Executor still twice the price, and is Thrawn's transport customized AND twice the health and shields? I think he meant the early "stages" when you haven't upgraded the hero's to having an actual ship..
What I can grab from it is that the ship itself is twice the normal cost, and the fighter complements for ships that have them are priced regularly. Complement: 3 TIE Starfighter Squadrons (360 C each), 2 TIE Advanced x3 Squadrons (720 C each), 1 TIE Targeter Squadron (900 C each), 1 five ship Xg-1 Star Wing Squadron (312.5 C each). 3732.5 C total. Complement (x1): 3 TIE Starfighter Squadrons (360 C each), 2 TIE Advanced x3 Squadrons (720 C each), 1 TIE Targeter Squadron (900 C each), 1 five ship Xg-1 Star Wing Squadron (312.5 C each). 3732.5 C total. As far as the Executor-class goes, the Reaper and Razor's Kiss might have some increased shield/hull ratings, and some changed complements, such as Thrawn probably getting his Xg-1 Star Wings. But they probably won't be huge changes, and the Executor-class is costly enough already, so the cost doesn't matter. Edited by Tropical Bob, 20 August 2009 - 07:29 PM. -I'm guessing that when it says Rank on the page it is for all of the ships and for land combat? While if it says Navy Rank etc. it means just for a specific unit correct? Or did you not add some of them yet? -Do heroes bonuses work on Space Stations as a side thought? -Shouldn't Ackbar have a rank for all the ships? -Why did you decide to not have Mon Mothma not have a Motivation of 5 to give the Rebels a Palpatine opposite. -What will happen with the Millenium Falcon? Can you have 2 now or are Chewbacca and Han still one unit? 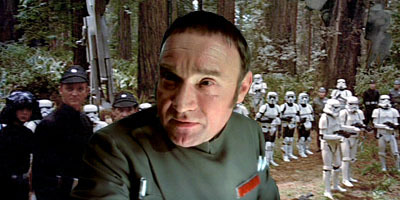 -Shouldn't Motti have some Offense, since he wanted to attack with the Death Star right away? -Will Cronal be able to heal his Singularity twice as fast as other Star Destroyers due to his ability to control meltmassif...it was on his stormies, I would assume it would be on his ISD as well. Willhis unit be able to go on ground and fight too with some Shadow troopers? It would be nice to get that health bonus there as well. Finally could Cronal have a third upgrade that would upgrade his fighter squadron of Singularity to all TIE Defenders due to his love of using them on the Mindor Campaign? -For all of the heroes with super star destroyers...it seems to me that I have to leave them away from combat for like 50 weeks to get it...could you make it faster for the heroes...since I don't thik anyway builds their SSD on a only 1 lvl 5 space station...maybe up the cost some more for the decrease in build time? -Thrawn should have some Defense (since his moral of saving his fighters and troops as much as possible),Intelligence since of Delta Source, Motivation since of the time when he motivated General Drost to increase security and scare him back into action after that ISD sabotage. -Also will more of the space units finally have ground ones, like Thrawn and Ruhk...Leia...Rom Mohc and a Dark Trooper Stage III? -Why did you take away some of the ship upgrades, like Fey'lya and the Quenfis, was it because he only used it once and made the crew disloyal to him? Finally thanks for spending all this time to fix the heroes!!! I can probably answer some of these until PR comes along. In my opinion, "Rank" will be a general overall rank, not specifically Navy, nor Army. Therefore, its bonuses won't necessarily be for combat. Those who come from a Navy or Army background and are promoted into a general rank will still keep their previous Navy/Army bonuses, however. Not sure if they'll be weaker or not though, in some cases. "Navy Rank" is for those in the Navy, obviously, and will grant mostly Navy bonuses, with a possible few Army ones. "Army Rank," once again, is for those in the Army, and will grant mostly Army bonuses, and possibly a few Navy ones. We are led to believe that Palpatine was using Battle Meditation over the entire Imperial Fleet, or at least whatever part of it he needed to. This would give him a higher motivation factor than any non-Force user. Unless motivation is a personal measurement of their desire to win. Then it's more of a tough call, but I think that Palpatine was still more motivated about winning than Mon Mothma. They will probably be on unit. I don't believe iconic duos are being torn apart. -Will his unit be able to go on ground and fight too with some Shadow troopers? It would be nice to get that health bonus there as well. Doubt the first one, and definitely the second. Cronal apparently grew more paranoid and physically inept as time went on, as he devoted everything he had to the Dark Side or whatever. If he does go to ground, I would assume it would be a weak unit healthwise, but with powerful Force abilities. So you could wreak devastation upon your enemies, but likely at a high cost. That's the price you pay to get the ultimate unit. The problem is that, even though some heroes are certainly more exceptional than others, they still have a limited amount of "points" to "spend" on their stats. Thrawn was most known for his extreme tactical aptitude, so that has to be maxed out. He carried many different campaigns and battles against enemies (Basically, he brought the fight to everyone else. ), so he has to get some points in offense. And again, he single-handedly returned the morale to a dying Empire. So he has to get points there. I would personally consider those three his highest ranking stats over small, one time instances. If you spread out his points more, you start watering everything of mention of Thrawn's. I don't think that's too likely. He didn't show up until sometime in or before the Yuuzhan Vong War, and didn't shine until between the end of that, and the beginning of the Swarm War. I agree that it should take time...but the problem comes with that those heroes have to be on that planet because of the engine of the game...which wouldn't be realistic in a real full scale war. Was thinking of him as a balance against Thrawn. (since he beat the Thrawn Simulator many times. Thanks for answering the questions though Was just wondering about the rank thing since later navy heroes get just a regular rank on later upgrades. I think the max rating is five stars, so the best anyone could do would be to match Thrawn, and not outmatch. Wookie mentions him being promoted to Admiral as early as 3 ABY, but that has to be a typo. I think they meant 30 ABY, or something similar. He apparently had no combat experience prior to the Swarm War, and an Admiral would most definitely would have seen combat from 3 ABY until then. It would be nice to have him, but the timelines just don't fit together. But we do have upgrades that go into the Swarm War and beyond. For instance the ISD IV is based off of the LotF era. There have to be limits on the "what if" scenario, however. Technology is totally different from the birth of a specific person. You can always pour more money and effort into research and updating old ship designs and such. You can't force a someone to be born earlier. Those are just my thoughts, anyway. Is it possible to give Eta 2 Actis as the secondary upgrade to Ben Kenobi? Because he flew one in RotS. The Thrawn simulator isn't Thrawn. That is nuts. The Eta-2 is a downgrade from the V-wing. It is more expensive, much faster, but with NO shields. It is also entirely the wrong product line. Think of the Eta-2 as the entire TIE Series prototype as it was the first fighter to use the Twin Ion Engines of the future TIE series, but unlike the previous Eta-1, the shield generators were dropped. This is where the Imperial emphasis on expendable, disposable, aggressive fighters began. Only the horrible cost of the Eta-2 makes it more of an elite interceptor than a disposable mass produced unit. The T.I.E Starfighter was the real breakthrough in expendability, taking a small hit in maneuverability for a massive cost saving (about 1/3 the cost of the Eta-2). The TIE Starfighter cut this further to about 20% of the Eta-2 purchase price. In this case the technology tree goes Delta-7 to Eta-2 to TIE Series - with Raith Sienar as the lead Designer - although some parts of the V-Wing made it into the TIE Series. 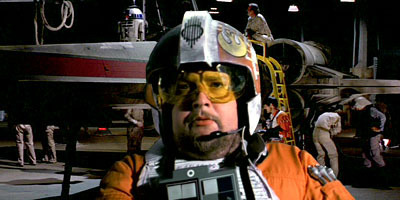 In comparison, the technology present in the V-Wing led to the birth of the RZ-1 A-wing, and both were designed by Wales Blissex, with Jan Dondonna's help for the A-Wing. Overall, that makes your request a decisive 'no'. Ben will stay in a V-Wing.